That all the families of the earth would be blessed through him (through Israel came all the promises of God to the rest of the world, i.e. the Messiah our savior). Abraham became the father of the entire Israeli nation, as well as every Arab nation. At this time in history, practically all of Noah’s descendants, (or the entire world population), had completely given themselves over to polytheism and worshiped multiple gods and goddesses (Joshua 24.2). Abraham, the father of the entire Jewish nation, was himself raised in a house that worshiped many different gods. The chief deities found among the people in this area was the sun and the moon god. 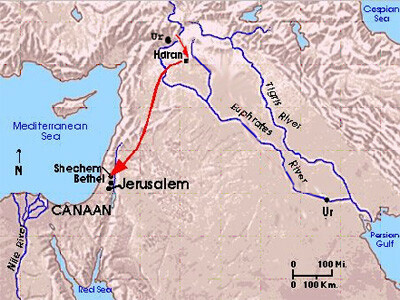 Ur was the land in which Abraham lived, the place that God called him out of, so that he would go into the land of Canaan. 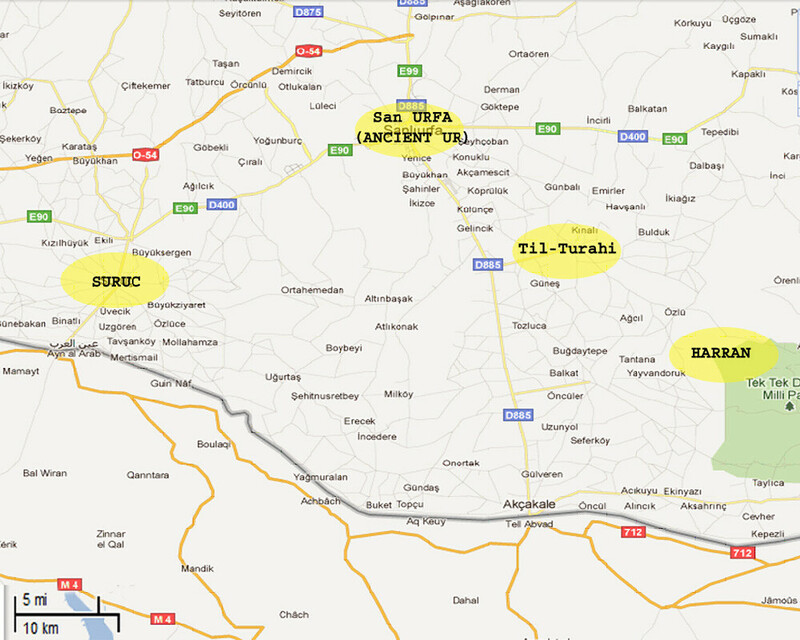 Til-Turahi– literally means the ruins of Terah, Abraham’s Father, is located between Harran and Urfa. Ur is about 220 miles North West of present day Baghdad, and is on the Euphrates River near Nasiriyah, in present day Dhi Qar Province, Iraq. 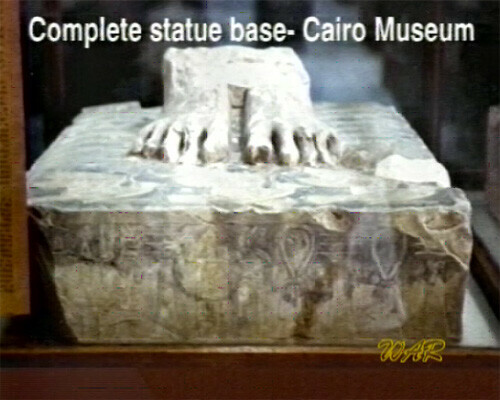 From 1922 through 1934 archaeologist Leonard Woolley spent time excavating this archaeological find to a great degree. This structure dates back to circa 2100 b.c. but had completely eroded by the 6th century B.C. 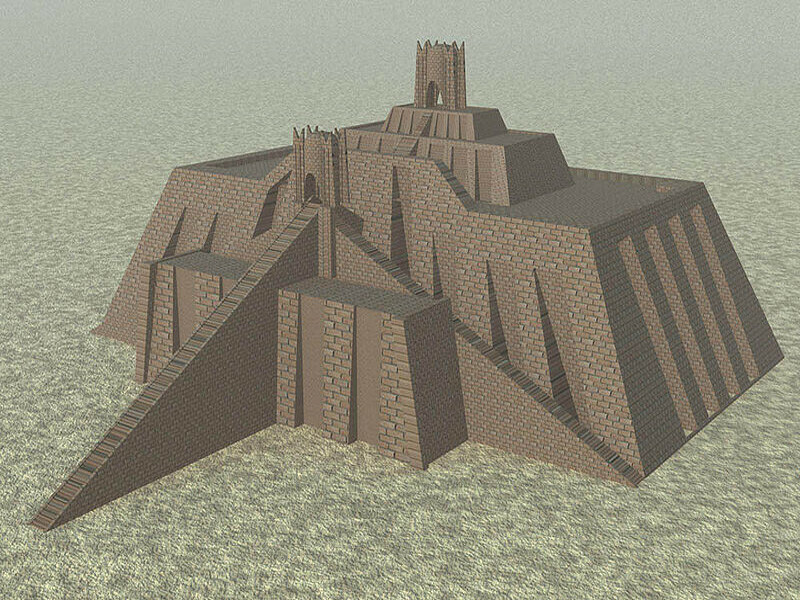 King Nabonidus of Babylon had restored it at that time. There are some discrepancies over the beginning of Abrahams journey, whether Ur was in the southern region of ancient Baghdad near the Persian gulf or here at Urfa, but either way the evidence seems to point towards Abraham and his family settling and ending up here at Urfa. Abraham’s name appears in various places throughout Babylonia as a personal name at the very period of the patriarchs, though the critics believed he was a fictitious character who was ‘re-dated back’ by the later Israelites. The field of Abram in Hebron is mentioned in 918 B.C., by the Pharaoh Shishak of Egypt (now also believed to be Ramesses II). He had just finished warring in Palestine and inscribed on the walls of his temple at Karnak the name of the great patriarch, proving that even at this early date Abraham was known not in Arabia, as Muslims contend, but in Palestine, the land the Bible places him. 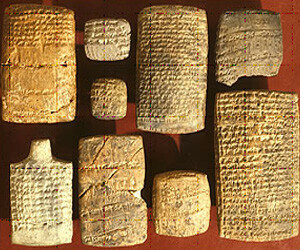 The Ebla tablets verified and they mention the name “Abraham” and “Ur of Chaldees” as well as other familiar cities and places from the Bible. 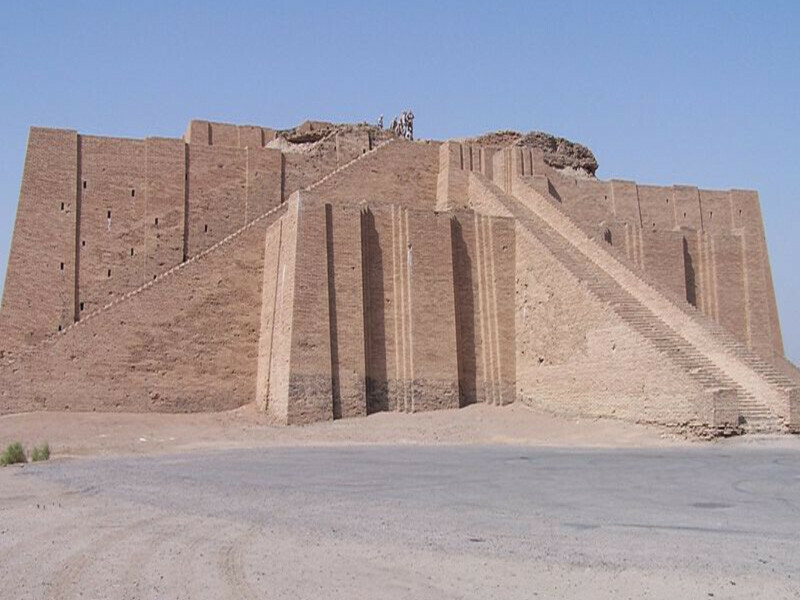 The Nuzi was a Hurrian administrative center in the Hurrian capital at Kirkuk in northern Iraq. The Hurrians are known in the Old Testament as the Hivites and Jebusites. Excavations were carried out at Nuzi by American teams from 1925 to 1933, finding more than 5,000 family and administrative archives ranging from 1450-1350 BC. They deal with many different social, economic, religious and legal institutions. Levirate marriage -Gn 38; Dt 25:5. Household gods -Gn 31:14 30. Nuzi tablets describe in the “tablets of sistership, use agreements which a man adopted a woman as a sister. In the Hurrians society, a wife would have both greater protection and a superior position when she also had the legal status of a sister. Two different documents were used, one for the marriage of the couple and the other as sistership to her husband. In Genesis we see Abraham (Gen 12:10 20:1) and Isaac (Gen 26:7) say to their wives that they were their sisters. Using this archaeological find we know that the culture of this time used this ‘legal right’ to give their wives a higher social status. 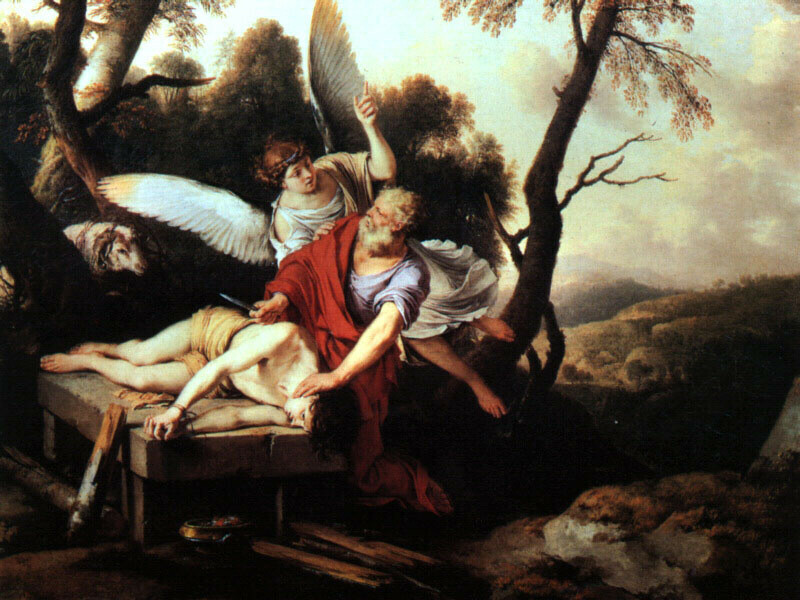 Joseph was Jacobs favored son (Gen 37.3). His brothers where jealous of their fathers favor towards him, so they tricked him and sold him into slavery. This turn of events eventually lead Joseph to be the favored servant of pharaoh, king of Egypt. One day Joseph interpreted a dream that Pharaoh had that God gave to him (Genesis 41.1). The vision, or dream, was interpreted by Joseph to mean that God was going to send upon Egypt 7 years of plentiful harvests then they would suffer from 7 years of famine (Gen 41.5-7). Joseph creatively thought up a way to prevent the land of Egypt from suffering from the 7 years of famine. He told Pharaoh about his plan to storing a large portion of grain harvested each season into large granaries (Gen 41.46-48). From the Abrahamic period, the Beni Hasan tomb was found in the lower part of northern Egypt. It depicts Asiatics (or people of Semitic origin) coming to Egypt during a famine. Archaeologists and historians recognize, typically, that only significant or important pictographs are portrayed inside of tombs. Therefore, the fact that this is depicted in one of the tombs indicated that it was a significant event during this time period. This event corresponding with the Biblical account of the plight of the sons of Abraham, Isaac and Jacob as seen in Genesis 41. 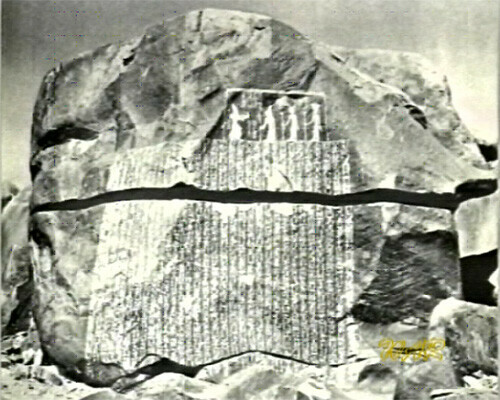 A copy of a land deed stone document was found on one of the islets at the tip of the Nile River that was used as a land grant to the priests. It describes the 7 years of plenty and 7 years of famine. It describes the event was foretold in a dream of the Pharaoh of that time period and interpreted by one of his servants. Even though archaeologists date this tablet to roughly 400 b.c. 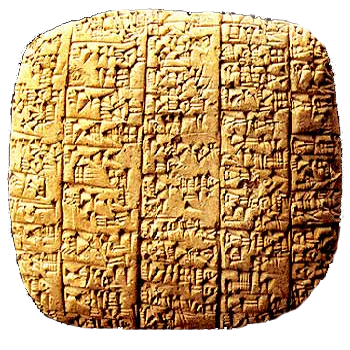 (1200 years after Joseph), it still indicates that the priests used this tablet during this time (circa 400 b.c.) as a legal deed and proof to keep their land from and earlier time of Egypt’s history. This stone may have been a copy from an earlier document that had been worn or eroded from time, but still verifies the biblical record as far back as 400 b.c. 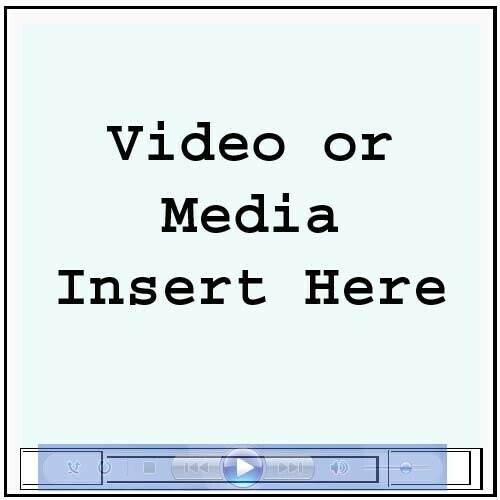 as an independent source apart from any Hebrew text. The Bible says the Joseph bought all the land for Pharaoh except the land of the priests (Gen 47.26). Foreign countries came to Egypt to buy grain as the famine had spread throughout the whole land. Today, the pyramids at Sycarah have baffled skilled professionals. Egyptian archaeologists are at a loss to explain the structures that they find here, as it would seem they could only serve the possibility of a few purposes. They cannot be tombs, because they where not sealed, and are open and accessible form the top. Just as Joseph suggested, these structures seem to resemble large granaries and could have been used as such during a famine like the one described in the bible. 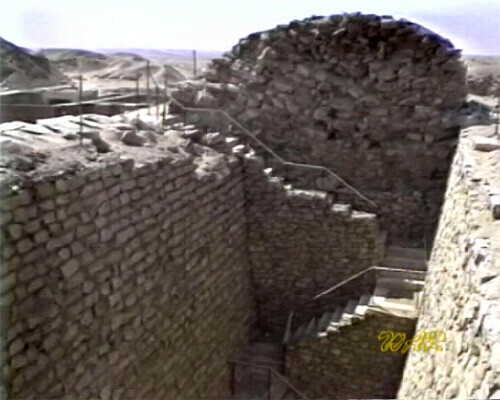 In fact, the evidence would suggest that these structures are best explained to have been, at one time, used as granaries due to the way they are designed. 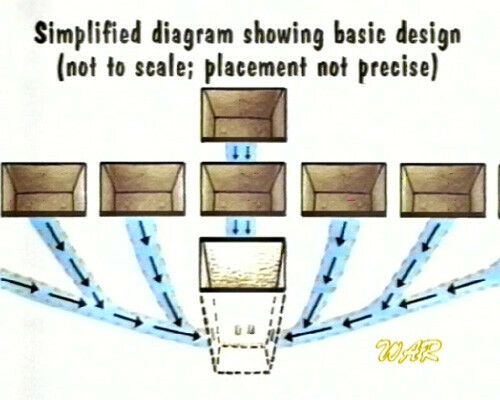 An intricate system from the large structured opening, to the different chutes that cross and channel down between each of the pits resembles the functionality of cross refill systems used in granaries. Small kernels of grain are still found in these pits to this day. There are hieroglyphs that depict the people filling these pits with some sort of grains from their harvests. Stories of a great man found throughout ancient writings referenced at the time of Pharaoh DJoser, was though only to be a legend of ancient times until the 1900’s when a statue dedicated by the Pharaoh to the man named Imhotep was found. Excavations carried out at Step Pyramid at Sakkara revealed an engravement found at the base of Pharaoh Djosers statue with the name of Imhotep, and a description of what his title was. The translation revealed that Imhotep was “Chief, first after the king,” this title is a first appearance in all of Egyptian history, a title that is also mentioned and is given to Joseph in the bible. 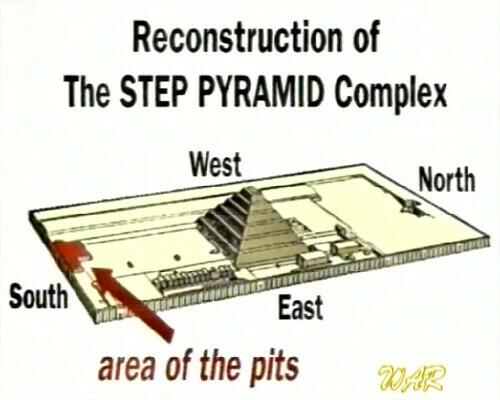 The reign of Imhotep is dated by some to be circa 2650-2600 b.c, and the biblical historians place Joseph circa 2000 b.c. Therefore there is roughly a 500 – 600 year discrepancy between the historic dates. 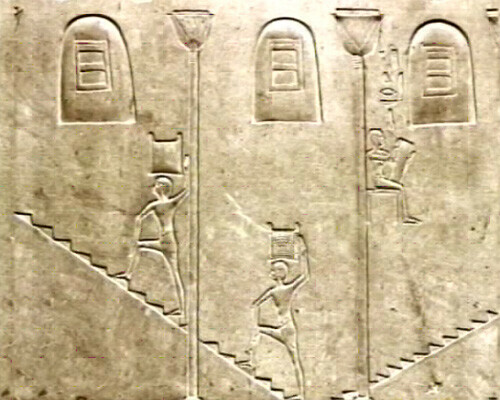 Critics acclaim multiple fallacies to the correlation between Imotep and Joseph. Primarily the discrepancy over the question if Joseph was Imotep comes down to chronological timeline issues when referenced the timeline many Egyptologists use known as the ‘Conventional Egyptian Chronology’ developed by Ian Shaw, although evidence still remains in the descriptions and names of both historic figures (Joseph & Imhotep) that they would seem to coincide with one another. Lists of king’s lineages, which we find on the Palermo stone, the Turin canon and the Manetho. Use of mathematics to correlate astronomical signs described in Egyptian hieroglyphs. A Plausible solution to the entire criticism of the chronological dates may be found in the ‘New Chronology’ developed by English Egyptologist David Rohl. His work has allowed historians to piece together additional references to biblical character as it solves many of the gap discrepancies found in the conventional dating. Considering new evidence moves up the secular history of Egypt up a few hundred years, considering some bible historians give a tolerance of chronology up to +/- 100 – 200 years, we could easily have a match for both accounts of the timelines. Until then, we need to consider both sides of the evidence as Imhotep could have been a different person, even though the probability narrows with the evidence.